The flexible nib ranges in size between 0.35 and 2.0 mm. 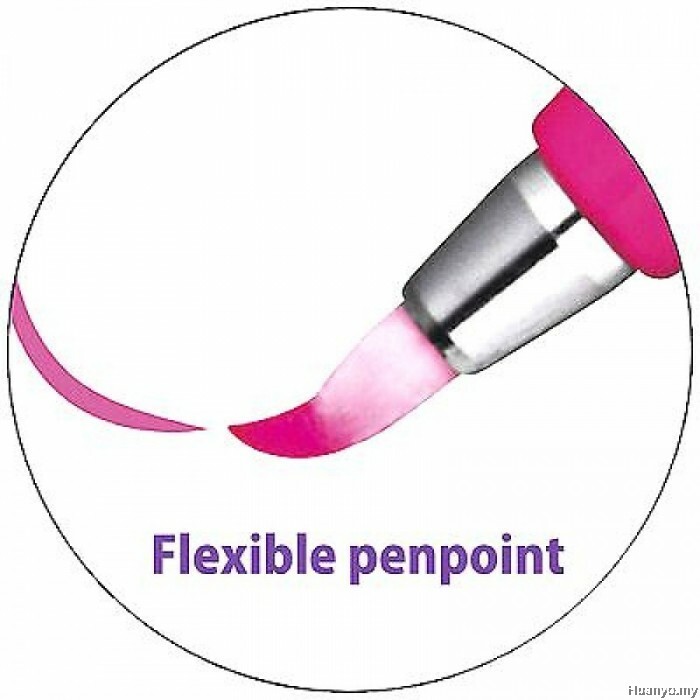 The pen would be perfect for a cartoonist, ink artist, graphic artist and basically any drawing that needs an expressive and controlled line. 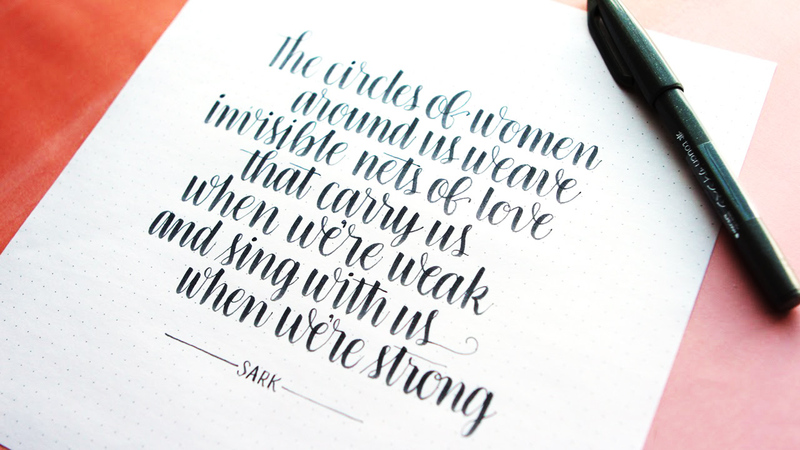 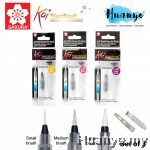 Capable of expressive strokes with its flexible fibre tip for caligraphy. The water-based dye ink flows steadily and evenly. 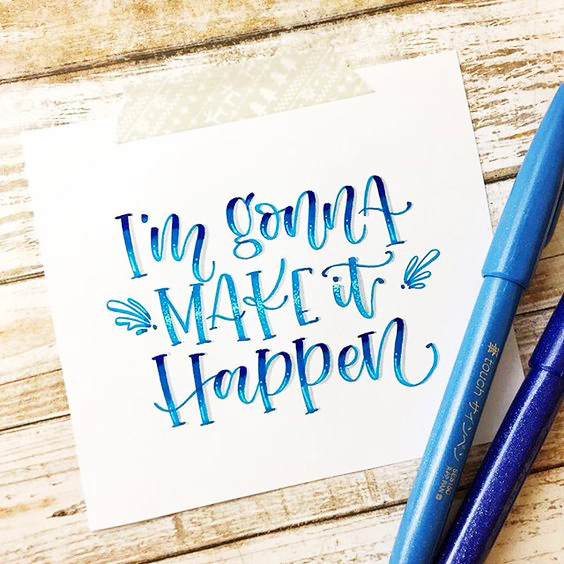 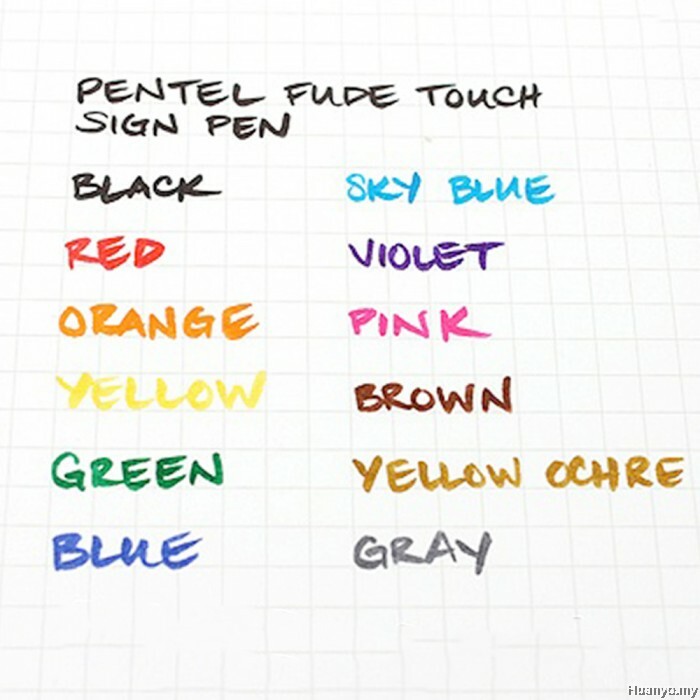 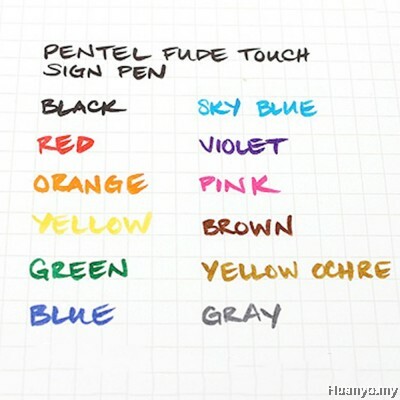 Create expressive drawings and write beautiful characters with these felt tip Pentel Fude Touch Sign Pens. 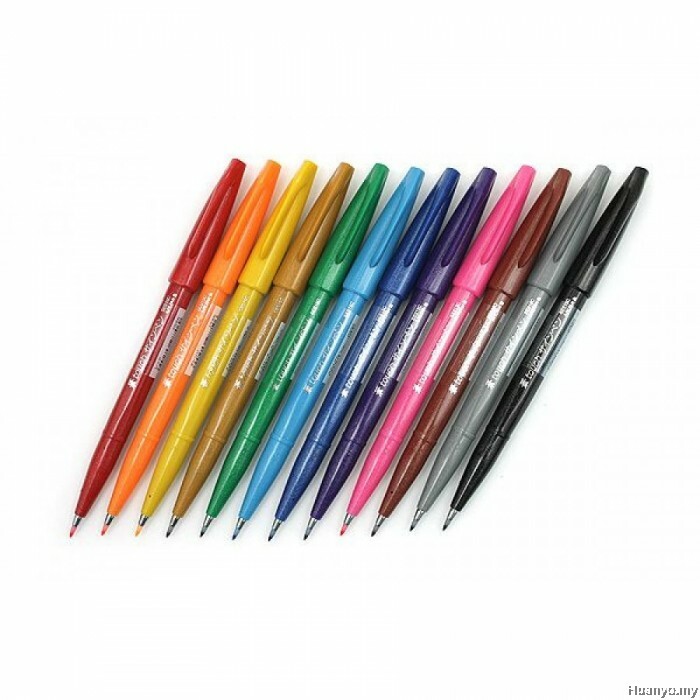 Each pen features a durable brush tip that offers good control while drawing varying line widths. 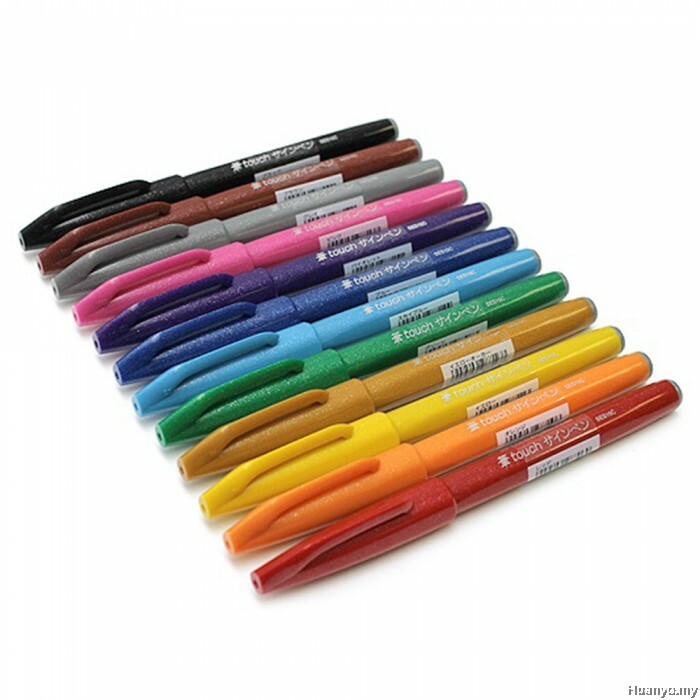 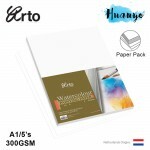 The water-based dye ink flows smoothly and is available in a wide range of bright colors. 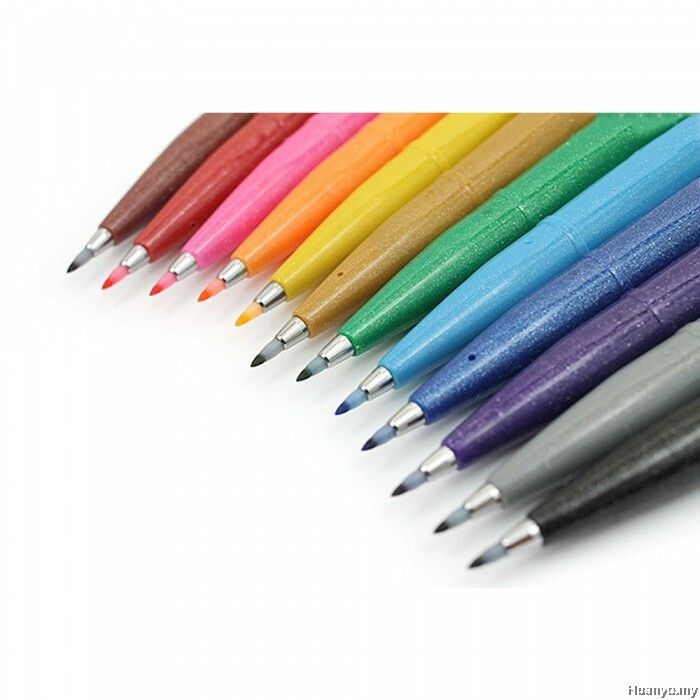 These pens are a unique addition to any artist's box! 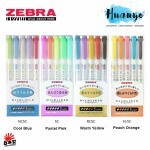 This bundle includes all 12 colors: Black, Blue, Brown, Gray, Green, Orange, Pink, Red, Sky Blue, Violet, Yellow, and Yellow Ochre. The pens are listed again below, in the Products Included section. 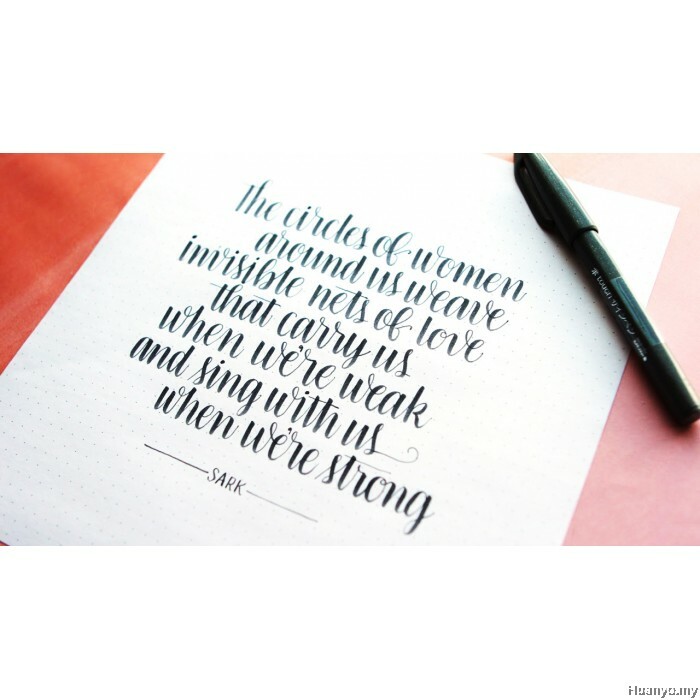 Links to their pages can be found there.